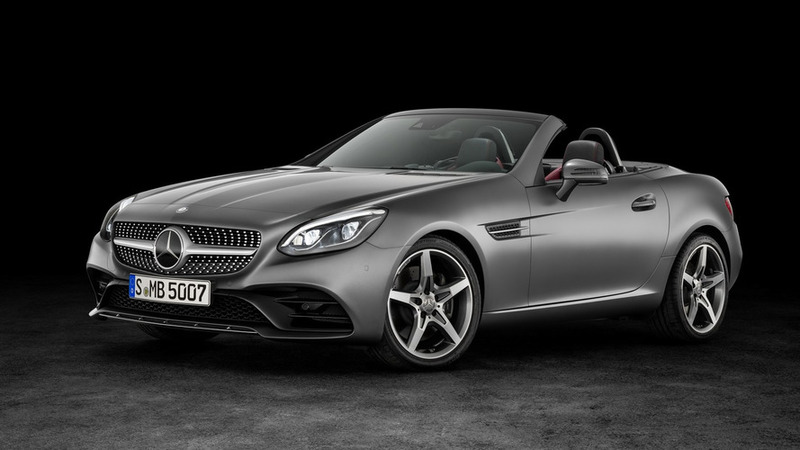 Mercedes SLC 180 Is Brand's Most Affordable Cabrio In U.K.
Will 156 horsepower be enough for open-top thrills? The SLC’s days might be numbered if we were to rely on a couple of recent reports indicating there’s not going to be a next generation. Should you be interested in owning one of the few remaining hardtops while it’s still available, the cabriolet is now cheaper than ever, at least in United Kingdom. Kicking off at £32,039 ($41,530), the newly added SLC 180 AMG Line sits at the bottom of the range and can be had for as low as £276 on a 36-month plan with a £3,999 customer deposit. You’ll have to settle with just 156 horsepower (116 kilowatts) and 184 pound-feet (250 Newton-meters) of torque provided by a turbocharged 1.6-liter gasoline engine. Despite the lesser engine, it’s still a decent performer as the droptop Mercedes will cover the 0-62 mph (0-100 kph) in 7.9 seconds and max out at a respectable 140 mph (225 kph). Power is channeled to the wheels through a standard six-speed manual gearbox, but you can spend an extra £1,600 and get the SLC 180 AMG Line with Mercedes’ silky smooth nine-speed automatic. Although we're dealing with an entry-level model, the car still comes generously equipped as it features standard cruise control, sports suspension, 18-inch alloy wheels, air conditioning, Artico seats, sports braking system, and Active Brake Assist system. 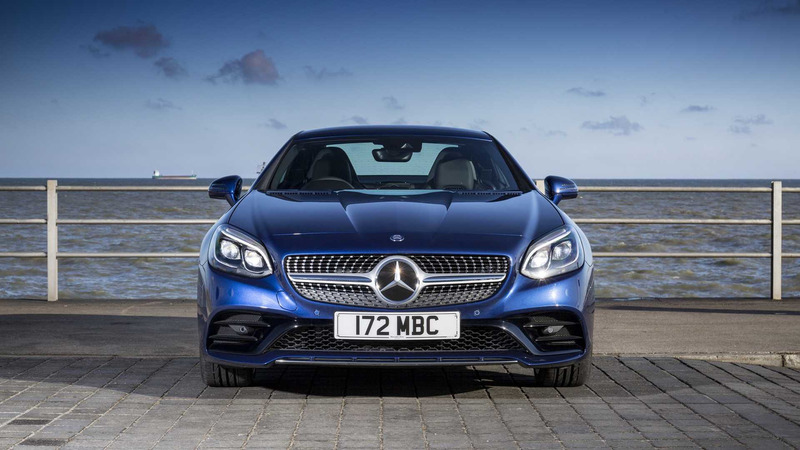 The addition of the 180 AMG Line model is not the only change Mercedes U.K. has made to its SLC lineup considering the SLC Sport model line has been discontinued while all AMG Line cars are now £500 cheaper than before. The most expensive SLC money can buy would have to be the hot biturbo V6-powered 43 model from £47,600 ($61,713) coming with 362 hp (270 kW) and 384 lb-ft (520 Nm) for a sprint in 4.7 seconds and a top speed capped at 155 mph (250 kph). Note: Raw conversion from British pounds to U.S. dollars. Does not take into account differences in tax. The SLC 180 AMG Line has been added to the SLC range, with prices starting from £32,039 OTR. 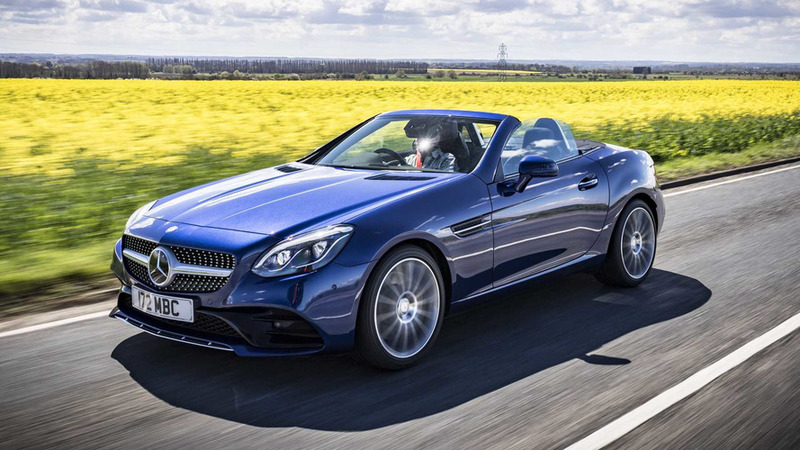 With monthly payments starting from as low as £276, the new SLC 180 makes the Mercedes-Benz roadster range more accessible than ever before. The SLC 180 features a turbo-charged 1.6-litre petrol engine producing 156 hp and 250 Nm. It can accelerate from 0 to 62 mph in 7.9 seconds and has a top speed of 140 mph. It emits a low 134 g/km of CO2 and delivers up to 48.7 mpg combined. A six-speed manual transmission is standard, or for £1,600 customers can opt for a 9G-Tronic automatic gearbox. The SLC 180 AMG Line comes as standard with 18-inch alloy wheels; Artico seats; Active Brake Assist; cruise control; air conditioning; sports suspension; and sports braking system. The SLC Sport model line has also been discontinued to make the range even simpler, with AMG Line now the only option. The price of AMG Line trim has also been reduced by £500, making the SLC line-up even more attractive.